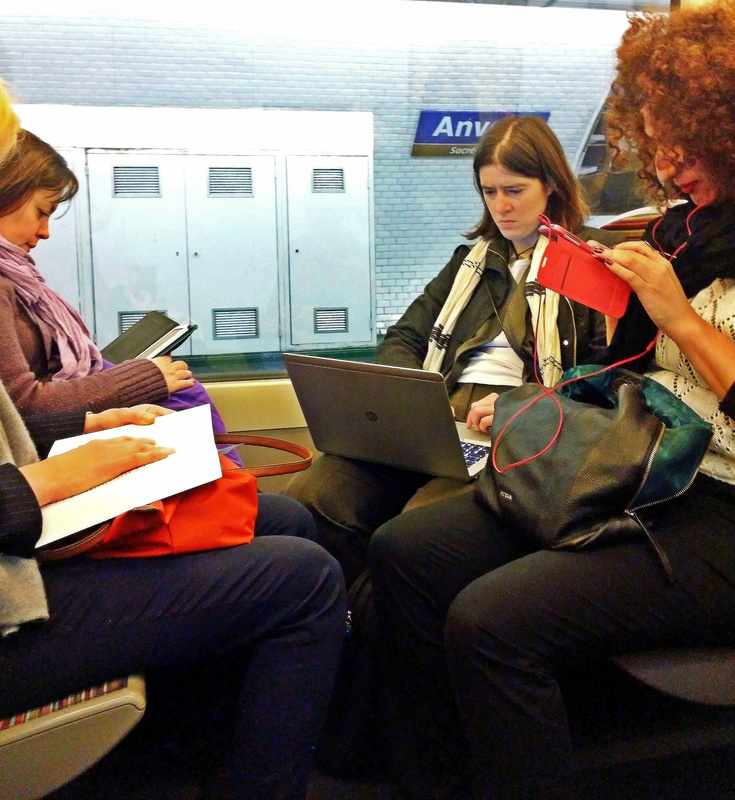 The history of technology captured in the Metro. From book to laptop to e-reader to smart phone! This entry was posted in Paris by Cell Phone, Paris Photos, Travel, Typical Tuesday and tagged History of technology, Paris, Paris by Cell Phone, Paris parks, Paris Photo, photo blog, travel, Typical Tuesday. Bookmark the permalink. I understand your sadness! I get homesick for Paris after I leave for more than 2 weeks!